Durward “Dody” Maxfield died Monday afternoon, Oct. 2nd, at the Norway Center for Health & Rehab where he had been a resident since last October. Dody was born in Harrison on March 6,1933, the first son of Elizabeth & Harold Maxfield. Dody was a graduate of Bridgton Academy Class of ‘51. On October 4, 1952 he married the love of his life, Evelyn Kimball, and they made their home in Harrison where they raised their two sons, Vern and Kenneth. Dody was a builder by trade; he built and remodeled countless homes throughout his career, which lasted until he was 80 years old. He delighted in the fact that he lived his entire life in Harrison until a stroke forced him to leave his beloved town. Dody was an active, longtime member of the Bridgton (Christian & Missionary) Alliance Church and an active member of the local Gideon camp. He is survived by his son Vern and his wife Brenda of Norway; two cherished granddaughters, Laura (and Brian) Nichols, Katie (and Tim) Huggins; his 4 precious great-grandchildren, Madeline, Mason, Matthew and Victoria; brothers John (and Judy), Nicholas (and Beverly), sister Joan (and George) Wright. He was predeceased by his beloved Evelyn, son Kenneth and parents. Funeral service will be held on Saturday, October 14 at Bridgton Alliance Church at 3:00 with Pastor Eric Hansen officiating. Memorial contributions may be made to the Bridgton Alliance Church, 368 Harrison Road, Bridgton, Maine 04009 or Gideons International, Oxford Camp, P.O. Box 97251, Washington D.C. 20090-7251. 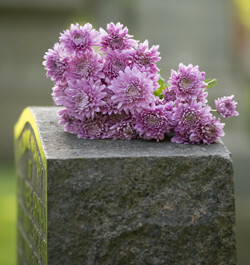 Arrangements by Cliff Gray Cremation & Funeral Services, 60 Andrews Road, Bryant Pond, Maine.